Comments: A chance discovery by a probe droid reveals the Rebel Alliance's main base on the planet Hoth. Darth Vader prepares for a surprise long-range attack, but his plans are ruined when Admiral Kendal Ozzel leaves hyperspace near the planet, setting off the Rebels' early-warning sensors. 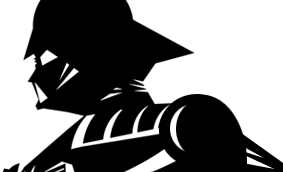 Vader then launches a ground attack with a powerful onslaught of Snowtroopers and AT-ST Walkers. The Rebels target their laser turrets at the invading Imperials, and Luke bravely leads his fellow Rebels into battle with the formidable walkers. But the Alliance is outnumbered and outgunned, and the order is given to retreat. The Rebels succeed in fleeing the panet, giving the Empire a cold and bittersweet victory. 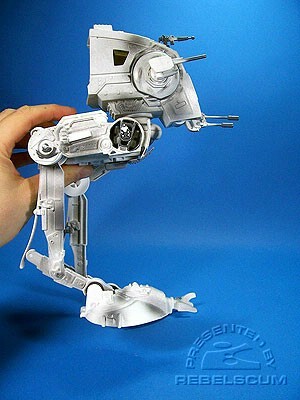 This AT-ST is a repaint of 2000's POTJ Imperial AT-ST & Speeder Bike set. This time around, it has more of a Hoth deco. Watch the AT-ST stomping action! This AT-ST Driver is a kit-bash repaint figure using the body of 2004's SAGA Han Solo (Endor Strike) and the head from one of the Rebel Fleet Troopers in 2007's TAC Capture of the Tantive IV battle pack. Han Solo is a repaint of 2007's VTAC Han Solo (Hoth Outfit). This time around, he does not include the hat. 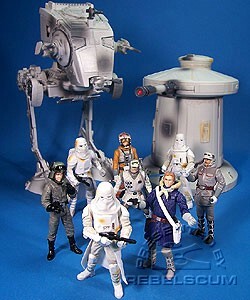 The Laser Turret is similar, but much larger than 1997's POTF2 Hoth Battle playset. Plus, the cannon now launches a missile. Luke Skywalker is a kit-based repaint figure using the body of Zev Senesca from 2006's TSC Rogue Two Snowspeeder with the head from 2004's VOTC Luke Skywalker. For some reason, he comes with Obi-Wan's lightsaber. This Rebel Officer is a repaint of 2006's TSC Major Bren Derlin. This Rebel Trooper is a repaint of 2004's SAGA Hoth Trooper (Hoth Evacuation). This Snowtrooper is a repaint of 2006's TSC Snowtrooper. For some reason, he is rusting? These 2 Snowtroopers are repaints of 2007's TAC Imperial Stormtrooper (Hoth Battle Gear). For some reason, they must have wandered into the tauntaun litter box? This Ultimate Battle Pack is available as part of Target's exclusive "WOW or Never" program, where fans can enter for a chance to win a trip to California and a chance to get their own action figure made for them by Hasbro.